at each phrase closely and intimately. 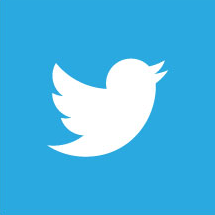 expressive content always came first." 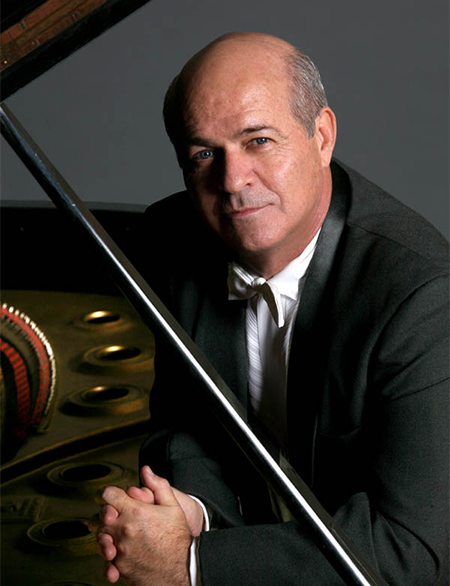 Internationally acclaimed pianist Enrique Graf has been variously described as "an assured and technically complete pianist" (The Washington Post), "one of the best interpreters of his generation" (El Pais), who plays with "fiery virtuosity" (The New York Times). After winning all of the national competitions in his native Uruguay he was awarded a scholarship from the Peabody Conservatory and the OAS to study with Leon Fleisher. First Prize winner in the William Kapell International Piano Competition, National Ensemble Piano Competition and East & West International Competition. He has been soloist with the orchestras of Baltimore, Indianapolis, New Jersey, Nashville, Pittsburgh, Richmond, Florida, West Virginia, Illinois, Flagstaff, Macon, Augusta, Greenville, Johnstown, Waco, Bogota, Rosario, Concepcion, Tucuman, Charleston, New York, Puerto Rico and Jupiter Symphonies, Symphony of the Americas, National Chamber Orchestra, Illinois Chamber Orchestra, American Chamber Orchestra, Hudson Valley, South Carolina, Montevideo, Moscow, Lviv and Janacek Philharmonics, Sinfonia da Camara, Florida Virtuosi, and the national orchestras of Ukraine, Chile, Uruguay, Peru and Colombia among others. 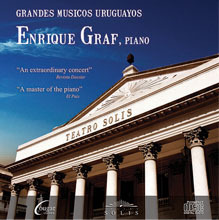 Enrique Graf has played at Lincoln Center, Kennedy Center, Krannert Center, Weill Recital Hall at Carnegie Hall, Cultural Centers of Sao Paolo and Manila, Teatro Opera in Buenos Aires, Broward Center for the Performing Arts in Florida, South Bay Center for the Arts in Los Angeles, Chautauqua Festival, San Miguel de Allende Chamber Music Festival in Mexico, University of Maryland and University of Houston International Piano Festivals, Spoleto International Piano Festival and Music Fest Perugia in Italy, Festivals of Natal, Santa Maria and Vale Veneto in Brazil, Contrasts Festival in Lviv and Kiev Music Fest in Ukraine. 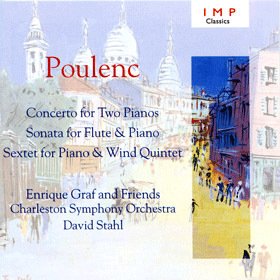 An all Poulenc CD with the Charleston Symphony was Pick of the Month by the Sunday London Times and received five stars in Classic CD. 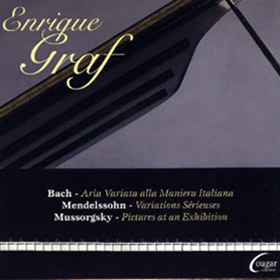 Other recordings of Bach Suites, Mozart Sonatas, Mendelssohn and Bach Variations, Mussorgsky’s Pictures at an Exhibition, Liszt Sonata, concerti by Beethoven, Grieg, Edward Hart, Gershwin, and Leonardo Balada, have been described as "ideal performances, unusually interesting" (Fanfare). "Compelling, extroverted, impulsive and altogether joyous, marked by an irresistible sense of flow. A triumph in all respects." "Sensational, poetic and dramatic. If you ever have the opportunity to hear Enrique Graf do yourself a favor and go." "His musicality was the unmistakable stamp, the calling card of this performer.The music always predominated over the effect or the spectacle." "Graf plays Bach and Mendelssohn with beautiful tone and much elegance. It is hard to imagine either played better."